With our professional equipment, knowledge and experience, we leave even the largest properties spotless. 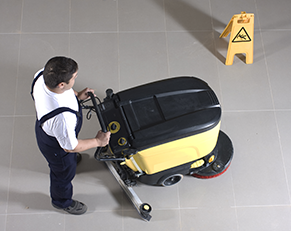 Corporate Maintenance Janitorial is your one-stop-shop for a complete range of commercial and industrial cleaning services and supplies. As a local, owner-operated business, we believe in providing personal service that is tailored to the unique needs of your property. We have the latest equipment, an experienced staff, and the resources needed to clean any sized property from top to bottom with zero hassles and minimal downtime. We'll sweep and scrub your entire warehouse floor! And, in addition to general commercial and industrial cleaning services, we offer stripping, coating and refinishing services for a wide range of flooring materials, including VCT, tile and concrete. 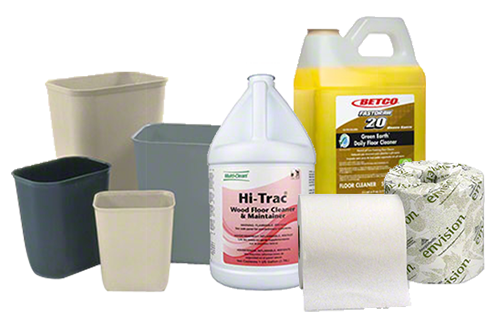 Not only do we offer the most thorough and affordable cleaning services in the area, we supply high-quality cleaning supplies at wholesale prices. We make even the most worn, stained and damaged floors look brand new! The contents of this webpage are Copyright © 2019 Corporate Maintenance Janitorial Supply and Service. All Rights Reserved.